Before you file a mortgage lawsuit against your mortgage lender, it is important to know whether you have a claim under the Truth in Lending Act (TILA) or the Real Estate Settlement Procedures Act (RESPA), or whether there may be other causes of action such as breach of contract or negligence. 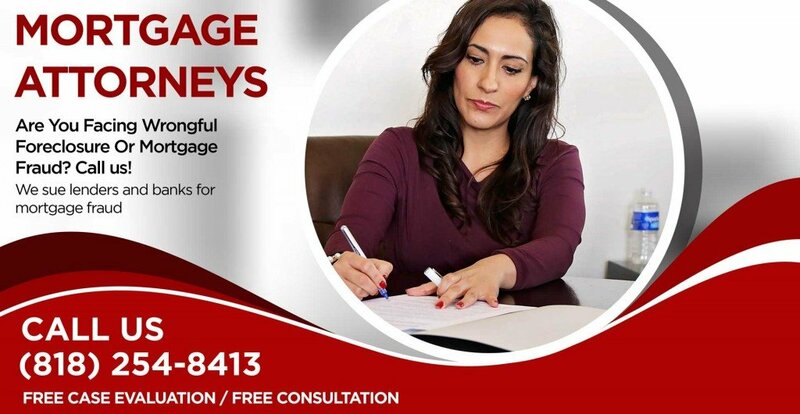 Our mortgage fraud attorney offer free legal advice to homeowners who are thinking about filing a mortgage lawsuit and have successfully filed lawsuits to stop foreclosure fraud. Before you file a lawsuit or hire a lawyer, it is always best to meet with one of our mortgage lawyer and discuss your case in person. Our team is well equipped to handle lawsuits to save your home from foreclosure and our staff of litigation support personnel will deal with your lender or creditor so that you do not have to worry about the harassment and frustration of dealing with them yourself. If you are looking into a mortgage lawsuit you should talk to a mortgage fraud lawyer who has helped clients stop foreclosure fraud. We file lawsuits against mortgage fraud lenders to help homeowners like you avoid illegal foreclosure. Time is of the essence, and it is always best to call soon instead of waiting until it is too late to get good help. Prior to filing a mortgage fraud lawsuit for you, we will prepare to use evidence in litigation based on wrongful denial of financial assistance. Our mortgage attorney will argue that your lender has committed numerous violations of California statutes that protect homeowners from wrongful foreclosure. Our goal is to prove that your lender engaged in illegal lending practices. File a mortgage lawsuit against your mortgage lender can be a difficult decision to make on your own. The best thing to do before you make any decisions is to come to our office in Glendale, near downtown Los Angeles, and meet with one of our mortgage lawyers. We offer legal advice in a free consultation to people who have questions about saving their homes from foreclosure. If it makes sense to begin the pre-litigation process immediately, you should find a foreclosure lawyer who has experience in this practice area. Consumer Action Law Group is dedicated to handling mortgage fraud lawsuits every day. Talk to Our Mortgage Attorney. We Sue Lenders for Mortgage Fraud and Wrongful Foreclosure!